Warehouse heating systems are required to provide an acceptable working environment, and/or to protect product from the adverse effect of cold temperatures. Generally, the requirement is for a simple, reliable, no frills system that operates trouble-free year after year. Simple control systems are also required to ensure that the key heating objectives are met with the minimum consumption of electricity. Because warehouses tend to be full of racking, fan assisted heating systems are generally preferred to radiant systems as they encourage the circulation of warm air between and through the racks. A warehouse will lose heat through the fabric of the building as well as through ventilation, especially through opening doors etc. A successful fan heating system must have sufficient total kW output to offset these losses and sufficient air circulation to ensure an even air temperature throughout the warehouse. 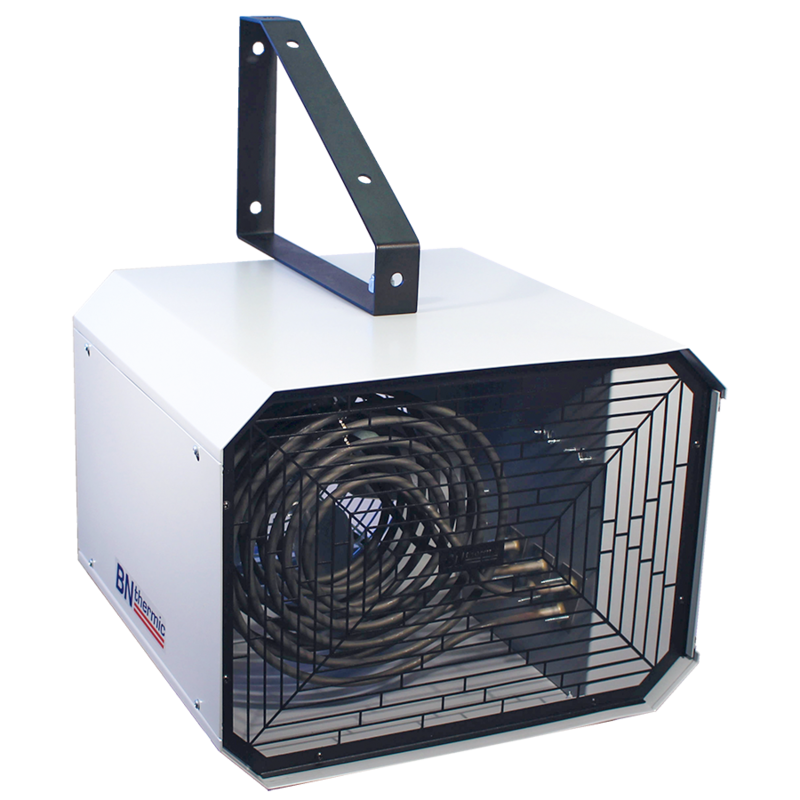 BN Thermic has developed the OUH2 industrial fan heater specifically for this kind of application. 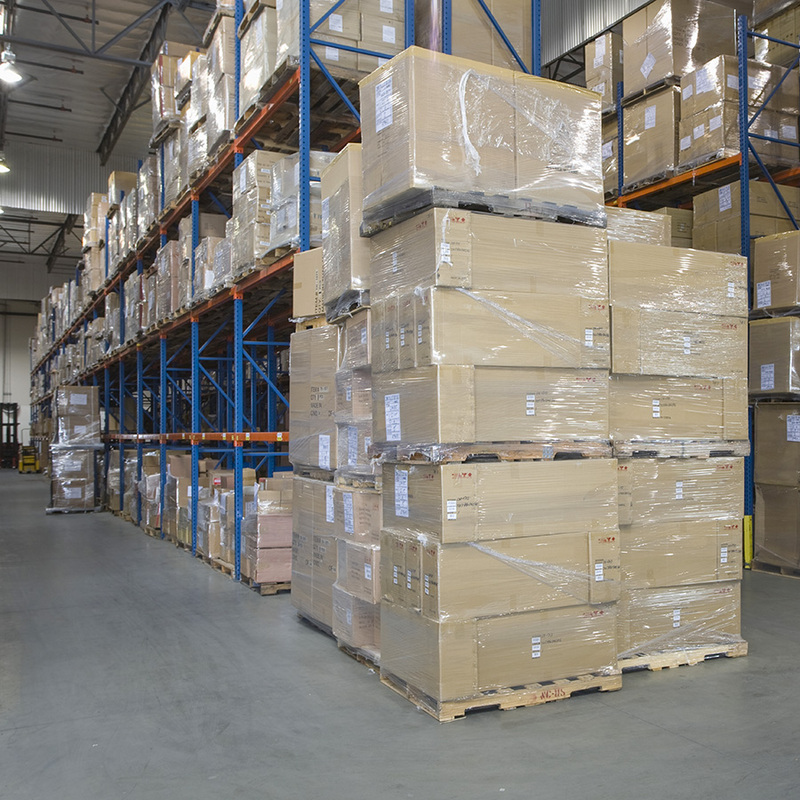 In a large warehouse a number of fan heaters will be installed and evenly distributed. Normally temperature control is provided by the heaters’ built-in thermostat. This means that in effect the heaters will operate individually perhaps responding to a localised drop in temperature resulting say from a roller shutter door opening. The heaters can however be linked in a control daisy-chain to a single programmable timer, on/off switch and/or frost thermostat if required. A major problem when heating taller building is a phenomenon known as temperature gradient. It is estimated that air temperature increases by around 2.5°C for every metre above floor level. Therefore, to maintain an air temperature of 20°C at floor level, in a 6m high warehouse, the air temperature at ceiling level would be around 35°C. The net result is a large body of over-heated air that is expensive to generate and serves no useful purpose. BN Thermic strongly recommends the use of destratification devices in warehouses where the ceiling height exceeds 4m. This type of device will sense when there is a differential between air temperatures at low and high level and use a powerful fan to reduce the differential. 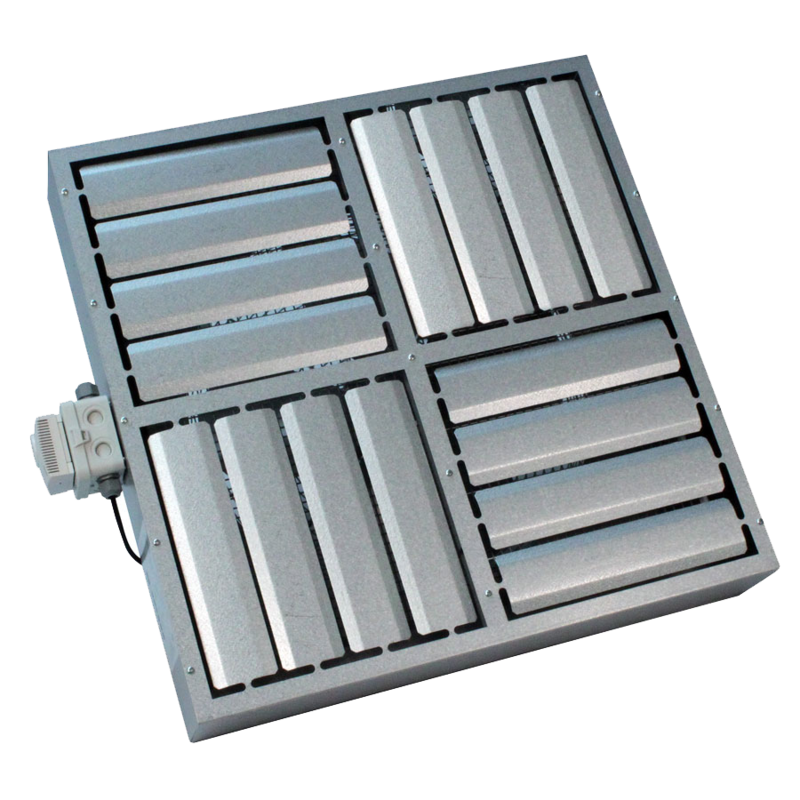 The use of destratification devices can reduce running costs of a warehouse heating system by up to 30%. In some warehouses conventional space heating is just not practical. In these circumstances, there is often a requirement to provide localised heat in specific areas for example a packing area. We call this spot heating. 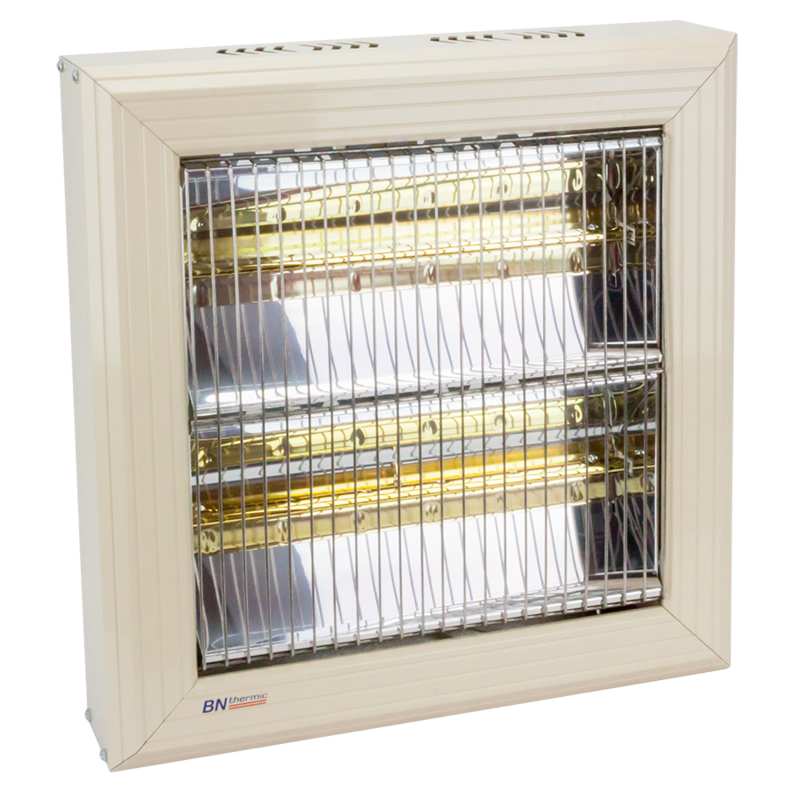 The best means of spot heating a target area within an otherwise unheated warehouse is a halogen heater. This style of heater emits shortwave energy as well as a warming red glow. This energy is absorbed by people entering its target area who are instantly warmed, without the need to increase the surrounding air temperature. To keep operating costs to a minimum control devices such as movement sensors and time switches are often employed. Warehouse heating systems, whether using industrial fan heaters or halogen heaters, need to be carefully designed. The engineers at BN Thermic are very experienced and are always on hand to assist. When required, they will visit a warehouse, carry out a survey and provide a bespoke heating proposal. There is a never a charge for this service.